I went to see my neurologist. I’ve mentioned before how these visits are usually stress-ridden experiences, which again makes no sense, because at this point I AM living what was formerly my worst nightmare. Put in a different way, this horrendous dream has become my present day reality! Mind-blowing! 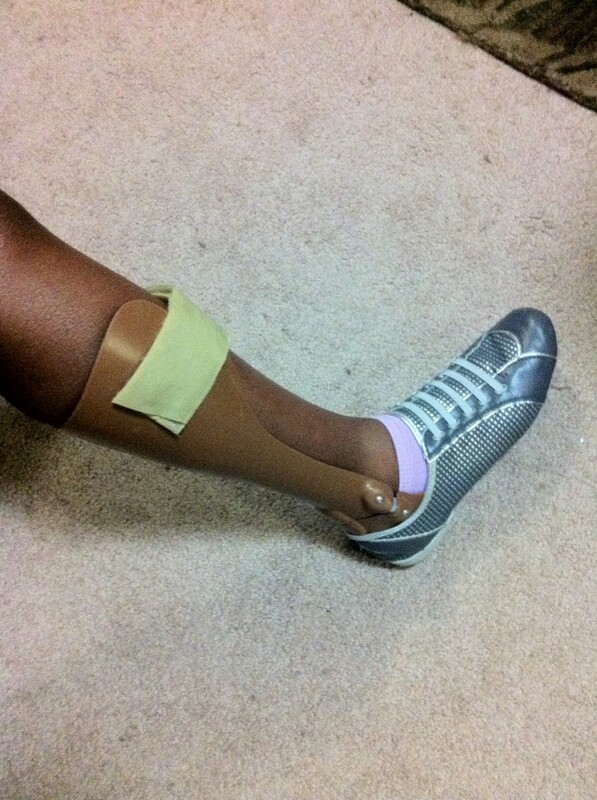 Ankle-foot orthosis: A brace (usually plastic) worn on the lower leg and foot to support the ankle, hold the foot and ankle in the correct position, and correct foot-drop. 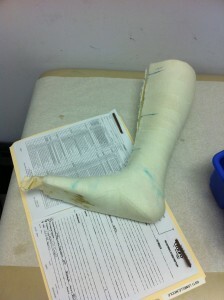 Abbreviated AFO. Also known as a foot-drop brace. These Bioengineered devices like the WalkAide and the NESS L300 are legitimate, just not for me…not right now at least. I’m the kind of lady that salesmen love. After all, I am a nurse with a sales mentality! Okay, don’t fret. I still stand by my mantra of accepting new “normals,” but that doesn’t make things easier or smoother. (Click here.) Remember, it’s the transition into that normal that is the hardiest. I thought I would lose it right there on his exam table! In the midst of my impending full blown mental breakdown, my husband once again pointed out, “The only difference between today and yesterday is the fact that you now know.” This is his go to rationalization, as he used it 11 years ago the day I was first diagnosed too! Worked then and saved the day today too! I guess I’m tolerating this new normal quite tenaciously. 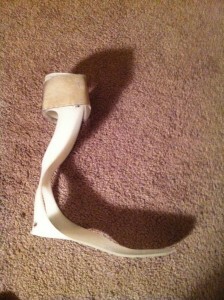 The beginnings of my custom AFO. The finished product...neat color! Ya think? This IS my new normal. That’s cool that you have a brown AFO. My orthotist makes a black one, which I have, or multi-colored ones. I may need to show him this picture so he can figure how to make one that color! I have a brace like this now. I was told the same thing about the lesions, “your brain is full of lesions”. 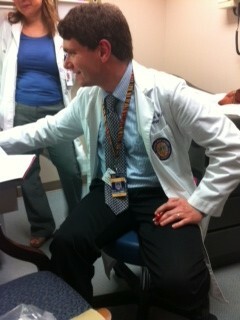 The doc explained it better, He said that it depends on where the lesions are located at. One lesion on the optic nerve can be bad. Your husband is right but it is not easy…. No, thank you for the read. Yes, please do your research, because they are some awesome devices. 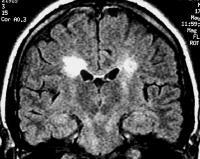 And “how many legions?” *I* started with only four; my regular MD (also a neurologist) asked me if I’d like to get another MRI; I said “Why? I already know I still have MS, what *new* would it tell me? Nothing, that’s what.” And, I am happy to report, he agreed. We have lesions, and yet we keep smiling. They’re badges of honor, and the source of as much comedy as annoyance. Don’t let ’em get you down! Lesion count hah! I obsessed over my MRI’s before – now I just like to look at them because well, they are cool to look at. Plus I can prove there really is a brain in my skull and even though my my legs seem not to be aware at times I have a spinal cord. Lesson load does not necessarily reflect what is going on at the time or so the neuro says. So your hubby is right nothing changed with the knowing. Kind of a freaky thing though knowing that the lesions lurk. He sounds like a nice and supportive man! Hey, stating the obvious the new color does blend in much nicer than the first one you have pictured and the articulation? Is it more comfortable? I liked the Bioness but whoo $$$! My foot drop thankfully took a hike left side and the right is hanging on the edge knock on wood. The shout out was cleverly done!!! Thanks again!